Shahzad had complained to Human Rights Watch of receiving threats from Pakistan’s intelligence agency, ISI. 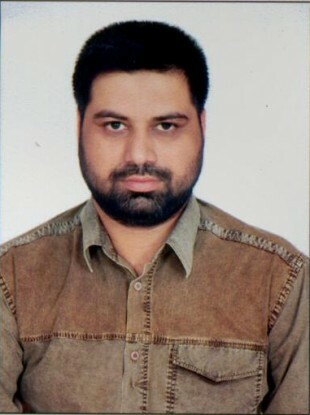 File photo of journalist Syed Saleem Shahzad released in 2006. THE BODY OF Pakistani journalist Syed Saleem Shahzad has been found near Islamabad today, just two days after he was reported missing. Shahzad, 40, went missing on Sunday after leaving his home to take part in a TV show, but never arrived at his destination, according to the AFP. He had recently written about links between Pakistani naval officers and al Qaeda. Human Rights Watch (HRW) says the journalist has recently complained of receiving threats from ISI – Pakistan’s intelligence services. Ali Dayan Hasan, a researcher with HRW, said Shahzad had sent him notes from a meeting he had held with a naval officer at ISI last October. He said they were only to be used if something happened to him or his family. Hasan said that although their opinion of the incident would be formed after an investigation, ISI has been known to be involved “in similar incidents” in the past. Pakistan’s Taliban claimed it had carried out an attack on a naval base last week as revenge for the killing of Osama bin Laden. Fourteen people were killed in the 18-hour siege. Shahzad wrote that the attack was also carried out because a number of naval officers had been arrested on suspicion of involvement with al-Qaeda. A senior intelligence officer in Pakistan has rubbished claims it was involved in his death as “absurd”. Prime Minister Yusuf Raza Gilani has expressed his deep grief and sorrow over Shahzad’s death, according to Pakistani media. Shahzad was kidnapped and detained by Taliban militants in Afghanistan for several days in 2006. A spokesperson for the militants said at the time that he had entered Taliban-held territory without permission. He had worked for Italian news agency Adnkronos (AKI) and was the Pakistan bureau chief for the Asia Times Online. Email “Body of missing journalist Saleem Shahzad found near Islamabad”. Feedback on “Body of missing journalist Saleem Shahzad found near Islamabad”.